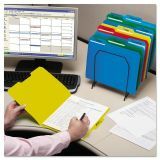 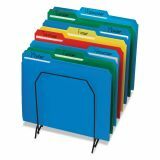 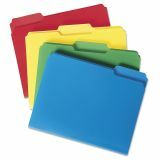 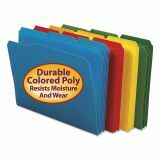 Smead Waterproof Poly File Folders, 1/3 Cut Top Tab, Letter, Assorted, 24/Box - Poly File Folders are made of an extra-heavy, 17 point polypropylene material to support frequent use. 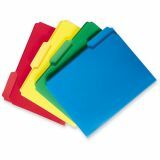 1/3-cut tabs (1/2 high) are in assorted positions. 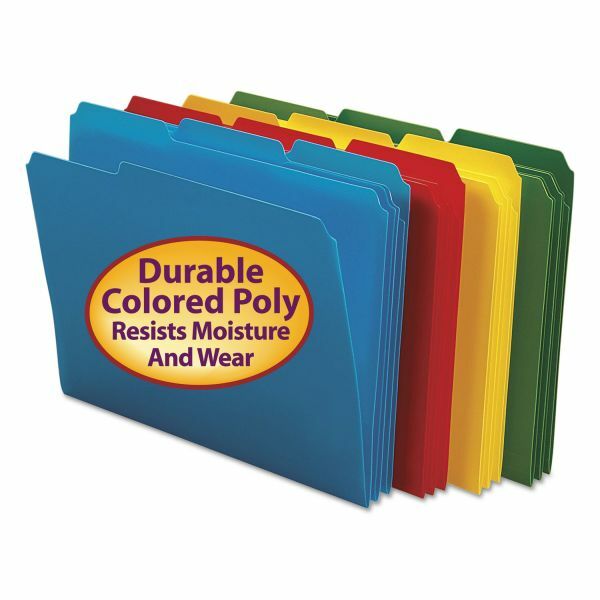 Waterproof and tear-resistant material folders are scored for 3/4" expansion. 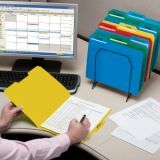 Front panel is undercut. 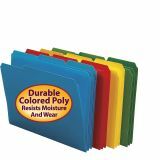 Front and back top corners are rounded. 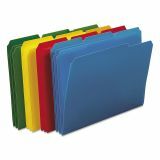 Folders offer acid-free, archival quality so they will last.